Rich Ross (C'83), President Disney Channel Worldwide, will be appearing at the Licensing International Expo 2007 (Javits Convention Center, NYC) tomorrow at 9:30 am, to announce new extensions to the Hannah Montana brand including a new fashion line, youth electronics and details about Miley Cyrus's (star of Hannah Montana) upcoming CD and concert tour. Over the years (especially back in my college days), Rich had come to campus and given talks about getting into the business. A great resource for alumni coming to Los Angeles. ...Also, apearing at the Licensing International Expo on June 19-21 is illustrator Brian Yanish (C'95, Mask and Wig, Friars). 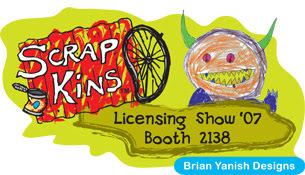 Brian will promote his children's property The Scrapkins at Booth #2138. ...What really happens to the stuff you throw away? Come see the silly and grossly imagined world of recycling from a child's perspective. Brian brings over 10 years experience working in illustration and licensed product design. His mission is to create engaging and inspiring content for children that promotes an active imagination, positive self-image, and the silly joy of being a kid. ...I've known Brian since my Mask and Wig days and he is extremely creative and talented. Any Penn alumni in the children's publishing world out there? 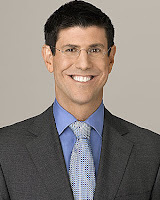 Be sure to check out Brian's site!